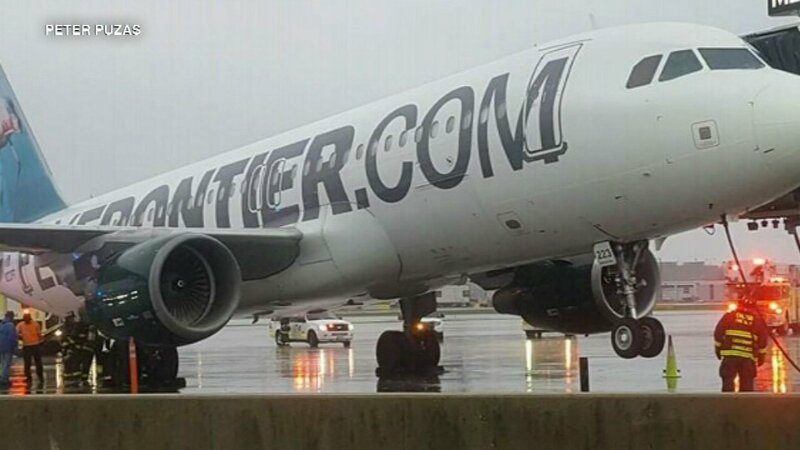 CHICAGO (WLS) -- No one was injured after a Frontier Airlines plane tilted up while at a gate at O'Hare Airport Saturday. The Frontier plane arrived at O'Hare shortly before 7 p.m. and came to a stop at a gate. As passengers exited, the nose of the plane tipped up. A witness said that too much weight at the back of the plane caused the plane to tilt. The Chicago Fire Department responded to the incident. No one was injured.